My retail value is $399 but maybe you’ll pay more because you want me now and didn’t think to pre-order me? As the sun does rise in the east and set in the west, people who didn’t pre-order are destined to panic and consider paying too much on eBay for the newest video game console. This time it’s the Sony PS4 whose disappearance from retailers both online and bricks-and-mortar has resulted in a slew of overpriced consoles popping up on eBay. We just watched a PS4 Launch Edition go for as high as $611 on eBay — that’s just for the basic console and the wires and gizmos that come with it in the box, no extras that we know of — when it could have been pre-ordered for the retail price of $399 on sites like Amazon.com and GameStop. There’s no real difference between today’s “Launch edition” PS4 and the PS4s that will eventually become available with Sony’s next shipment other than the bragging rights you’re buying along with the console. (Note: The Xbox One launch version does come with a special “Day One” controller.) 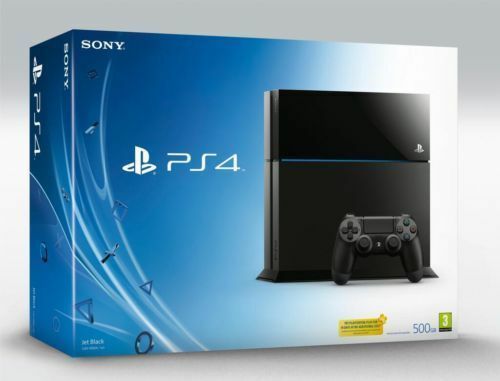 So a year from now, no one will really care if you got your PS4 on Nov. 15 or in February 2014. Furthermore, those extra hundreds of dollars you could be spending now to buy a PS4 from a potentially questionable seller on eBay could be spent in the future on games to actually play on your pretty new console. At $60/each for a new game, you’re talking about the cost of more than three games that you’d be tossing away just to get your hands on a console that will be widely available in the near future. Speaking of games, there are only a very small number of titles available for the PS4 and Xbox One (some of them just ports from the current generation consoles), so it’s not like you’re missing out on all manner of gaming awesomeness. You’re just missing out on telling your Facebook friends you have a PS4. Might as well for when you can buy it at the regular price. As for availability, there’s the possibility that some retailers are hanging on to a few consoles that they will use to promote their Black Friday events, though it’s unlikely that any of those will sell for discounted prices. Here’s our question: If you love video games, and you know you are going to really really want the PS4, why wouldn’t you pre-order it and avoid the panic altogether? Next Which ISPs Don’t Cap Monthly Data Usage? Next Up: Which ISPs Don’t Cap Monthly Data Usage?